We're in it for the long haul. We recognize that business is built on building trust and exceeding expectations. We appreciate that you are taking this initial step in what we hope is just the beginning! How to book a limo? How much for my wedding transportation needs? What happens with my limo ride if my flight arrives late? How much does a limo cost anyway? We are HAPPY to answer all your questions! 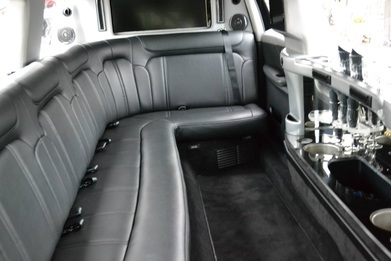 to insure that your secured limousine service, is in fact, the BEST fit for your needs and budget. Do you need a stretch? Or maybe you want to take a ride in our new Escalade? Do you want to feel Pampered in one of our Party Buses? With our Team, those are easy answers, when you are looking for VIP, Luxury Limo Services (or a no frills ride to the airport!) Team up with the folks who are always looking for how we can do what you want better! ... although you might receive our recorded message - speak clearly, be specific, and take comfort that we will get back to you soon! let us know your time line and we'll do our best! Ask about our Wedding Shuttle Services if you are planning for upcoming nuptials! Pamper your wedding party and guests and enjoy peace of mind knowing that things will run on time and also ensures that your bridal party enjoys safe transport, even after the celebrating has begun! Guests flying in? Travel on your books? We welcome and serve - Southern New Jersey, Eastern PA and Northern Delaware ! ​"Thank you! Another great trip!" - Garrett P.
​- We hope to do it again, Garrett!